300 gsm soft premium rich color velvet in mat finish. Absolute 95% blackout light and noise reduction for living room, bedroom, meeting and club. Blackout lining in white with 140 gsm weight. 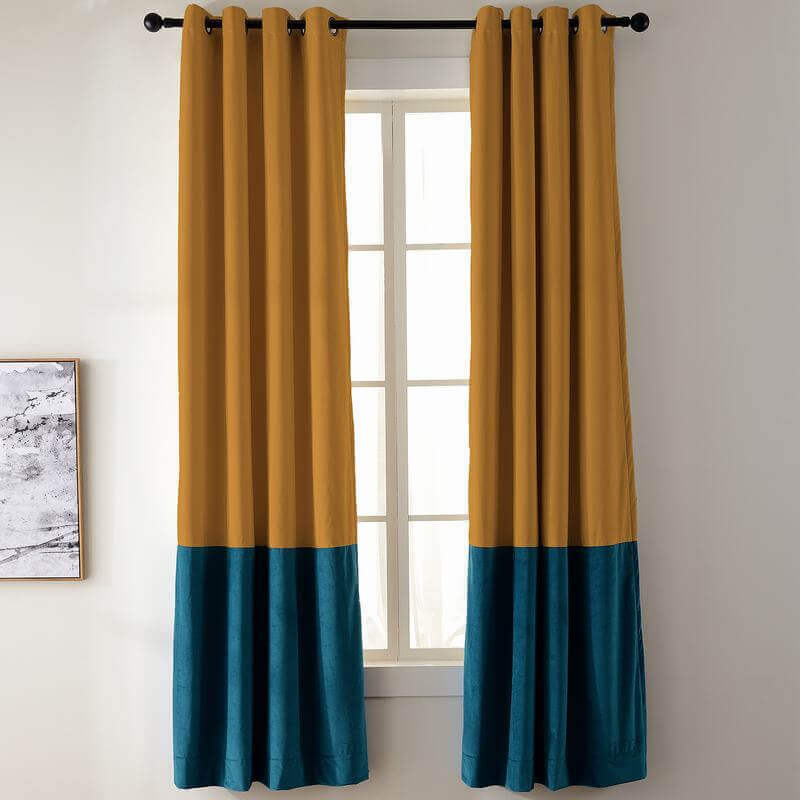 Store and protect from dust, hang drape in a breathable covering away from light and moisture. 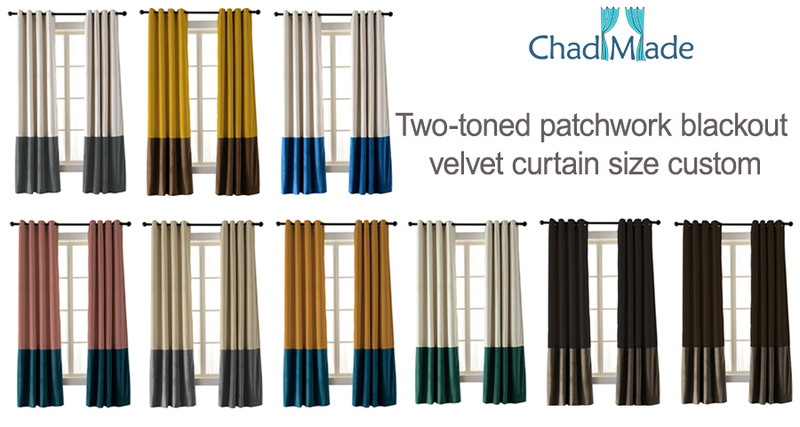 Color Block Layout: 84" length: Up 54" + Down 30" / 96" length: Up 66" + Down 30". Fit for: Living room, bedroom, theater, loft, villa etc. Feature: Soft plush pile with natural luster. The curtains keep the light out and provides for optimal insulation with lining added.